The Colts showed us on a national stage Sunday night that the Broncos are very beatable until they fix their defense. 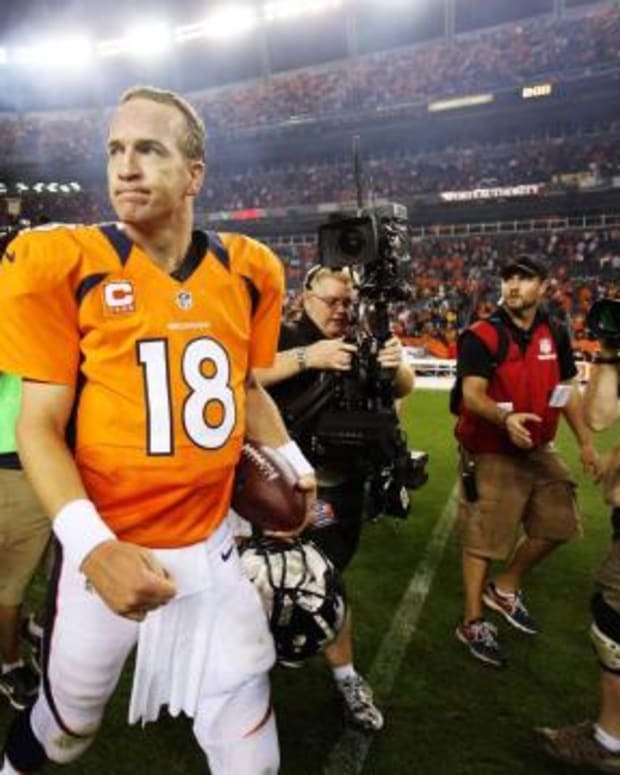 Also, Peyton Manning seemed to struggle getting anything behind his passes. This defense is no joke, but only beating the Case Keenum led Texans at home by a score of 17-16 is nothing to be impressed with. Can they score enough to keep up with the elite NFL teams? A loss to the New York Jets is never a good sign, especially for a team who has dominated them recently. Gronk is back though and Danny Amendola is practicing again. Reggie Wayne is a huge loss for this team both on and off the field. The defense has made some massive strides since last year. What do losses to the Dolphins and Chargers mean though? The Bengals offense finally showed signs of life in their win over the Lions last Sunday and they have now won 3 in a row. Phillip Rivers’ start is looking more and more legit and this team is a week 1 collapse away from being 5-2 and in the driver’s seat for a wild card. The Jets are as bipolar as they come offensively, but their defense keeps them in games and they now control their own destiny when it comes to the playoffs. This team is reeling right now, but in a wide-open AFC, this team has the tools to make a run. I am giving this team their due respect (and putting them in the top 10) since they are defending Super Bowl Champions. However, Joe Flacco is every bit who I thought he was…. which isn’t much. This team losing 3 in a row is slightly shocking to me. I am beginning to wonder who exactly this team is and if they will be any sort of factor the rest of the year. What a huge win for the Bills last Sunday. C.J. Spiller needs to be a lot better if this team wants to keep winning though. Too bad the Browns couldn’t have ripped somebody off with Brandon Weeden, like it appears they have with Trent Richardson. Ton of work to do, but 2 in a row is a start. What is happening to this team is just disheartening and inexplicable. At least they aren’t the Jaguars. 3 home games and 0 TD’s….yet Tim Tebow would be a downgrade….right.